Uluwatu is a stunning part on the southern coast of Bali consisting of dramatic cliff side views of the endless ocean, also famous for it’s many surf breaks that can attract massive swell. 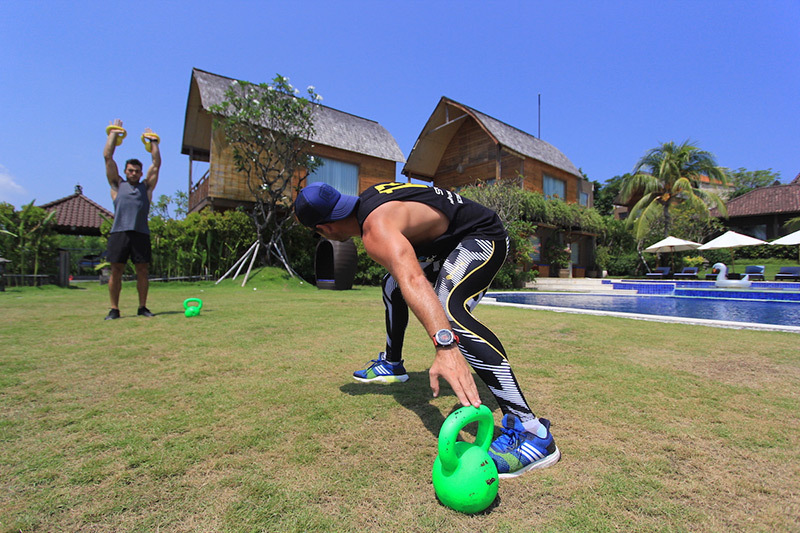 Book your Uluwatu Mega Active Escape now! – Bookings are running hot! Our Uluwatu accommodation consists of 26 rooms all with Super King Beds, if you are travelling with a friend you can still share a room but you will need to share a bed. Standard Room: Standard rooms are one level, king bed with ensuite bathroom. Coffee and tea facilities in the room including a small fridge. Deluxe Room: Deluxe rooms are two level bungalows, downstairs consists of a living area, coffee and tea facilities with fridge and bathroom. Upstairs consists of a large king bed with ensuite.